With the addition of several new team members, and the reorganization of our development and professional services "Glue Team", it was time to update our digs. 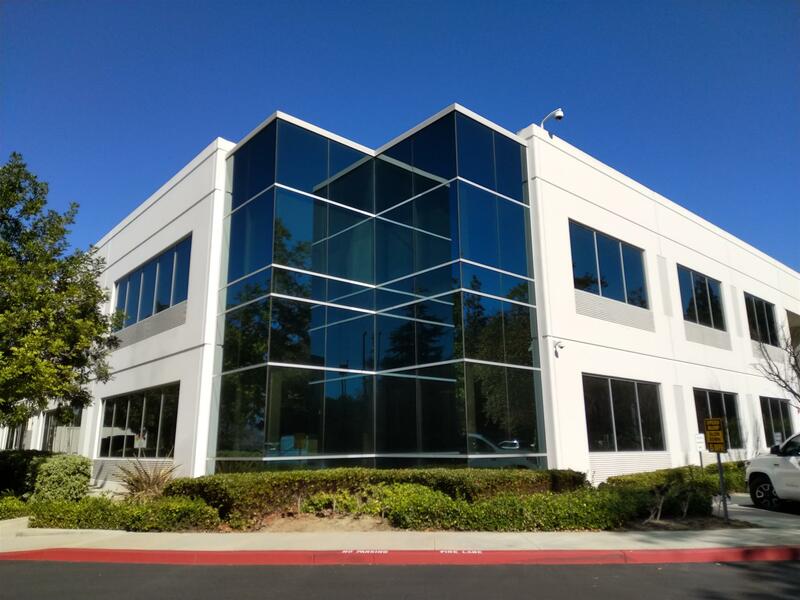 We're excited to announce that we've moved just an hour east of L.A. to Diamond Bar, California. Our new address is. The vibe and layout of our office is "Hip & High-tech", providing a comfortable but professional environment. We want it to be a place where current team members (and future prospects) enjoy working, collaborating, and having fun. Healthy: with individual spaces with adjustable standup desks, open space with natural lighting, a fitness room, and walking hills nearby. Collaborative: there are lots of places (small and large) to create and collaborate, featuring large high def screens and whiteboard walls everywhere. Techy: We've installed lots of tech throughout the space, including laptops, large flat panel screens, swappable hardware demo/test panels, and gaming consoles. Comfortable: We've got all of the comforts of home, including an outdoor patio as well as a kitchen area that doubles as an eating, socializing, and gaming space. Green: We have electric vehicle charging stations, a solar roof, multiple zoned smart climate controls, and soon will be powered by FIN in future. Fun: Our collaboration spaces are themed after Fortnight destination names (Tilted Towers, Paradise Palms, Dusty Divot, Shifty Shafts, Luck Links, Fatal Fields, Lucky Landing, Pleasant Park, Polar Peak). We are now set-up for hosting visitors for both customer training and collaboration. Come check us out and we'll book a flexible space for you!